Early start today to meet up with squad at 7am - typical it had to be the coldest day we have had since we have been here! 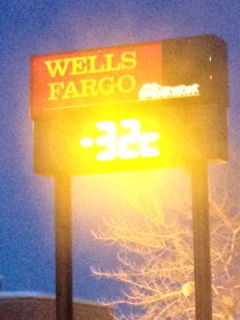 I have to admit I said "I like it cold but this is ridiculous/crazy"!! Super stoked the car started and when we were driving down the main street of Steamboat we passed this sign!! 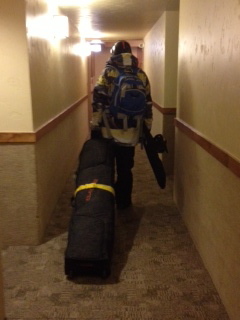 Off with Jon and squad to train on the new Copper Boardercross track for three days. Then back to the Boat for a day and then away for another week competing and training.